Way back in February soon after I started the build I ordered 18 feet of 3/4" x 1/8" 316 stainless steel flat bar from online metals and it's been sitting around the shop until now. Raw stainless flat bar is reasonably cheap and it should do a good job of protecting the bottom. The whole process only took a few hours. 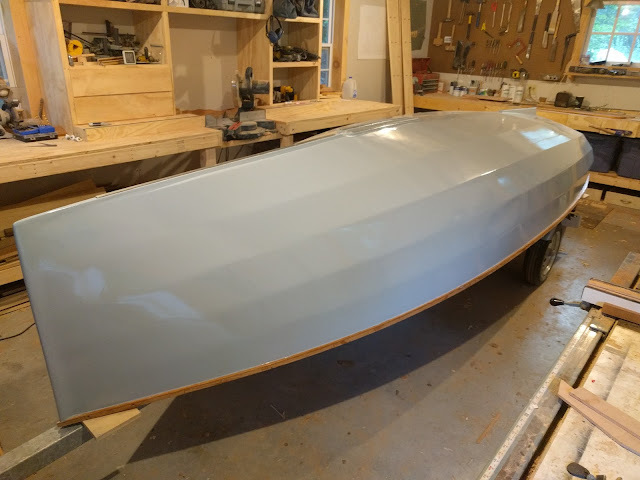 I started with measuring and cutting the four lengths I needed; 1 for the skeg, 2 for the side pieces surrounding the daggerboard slot and 1 for the keel strip forward. Next I measured and tapped equidistant #10 holes in each of the pieces. Finally, I countersunk all the holes so the screws would sit flush. This is where most of the time was spent. 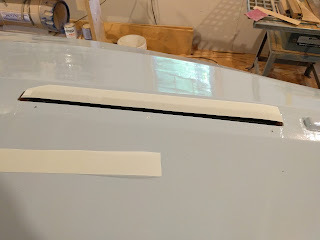 With the drill press at slow speed and periodically adding lubrication while cutting it took quite a bit longer than I expected. 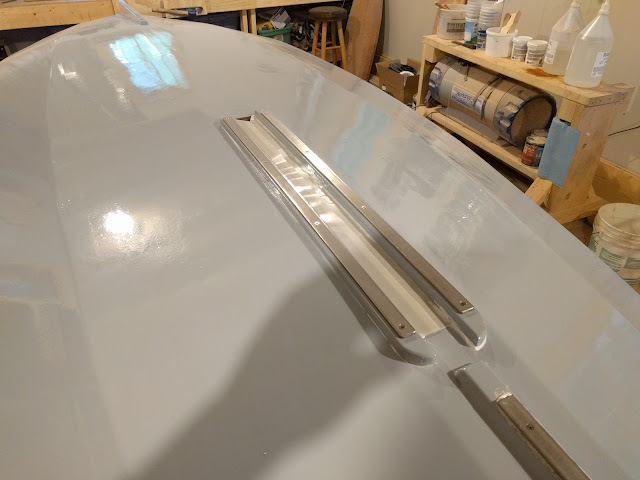 I bedded the skeg and foward sections with LifeSeal and then screwed them home with epoxy dipped screws. 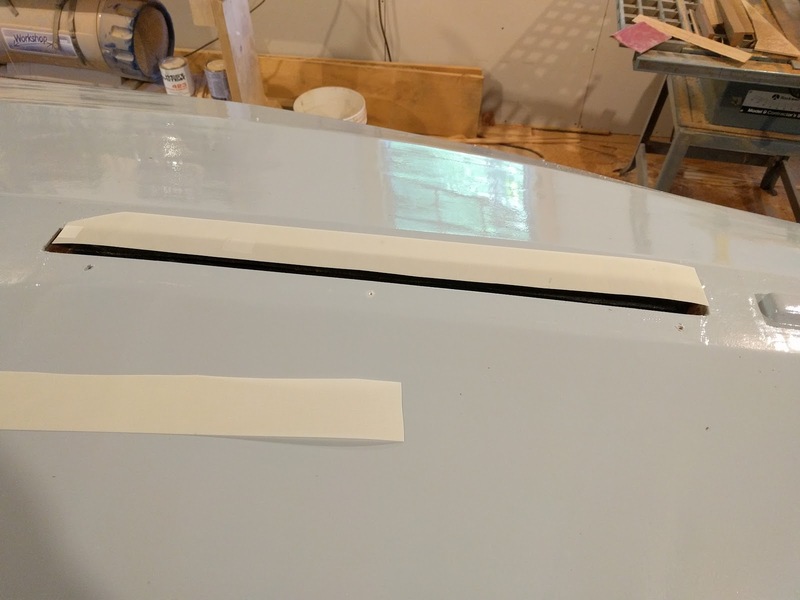 Before I mounted the strips alongside the daggerboard opening, I cut and fitted some slot gasket material (mylar with dacron scrim backing) and fastened it with 2 strips of wood that I had previously cut, shaped, and painted. Once that was complete, I bedded and screwed down the stainless pieces and called it a day. So with that complete, the bottom is officially done. 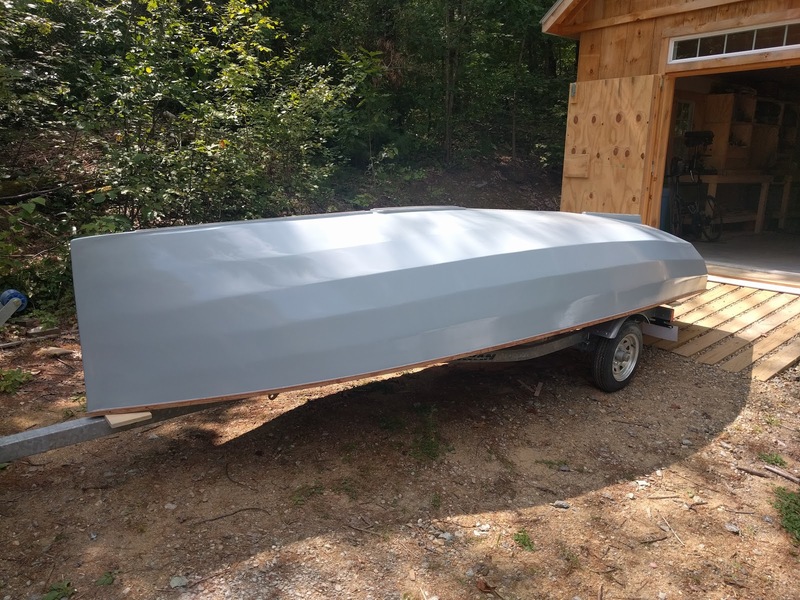 Of course I still have to build the daggerboard and I guess that will be part of the bottom some times, but I'm not counting it now. That's one shiny bottom.. Congratulations!